A U.S. Navy Destroyer is hit by enemy torpedoes. The results are catastrophic and only two men survive. After nearly twenty days floating at sea, the two are rescued and taken to a naval hospital for care. 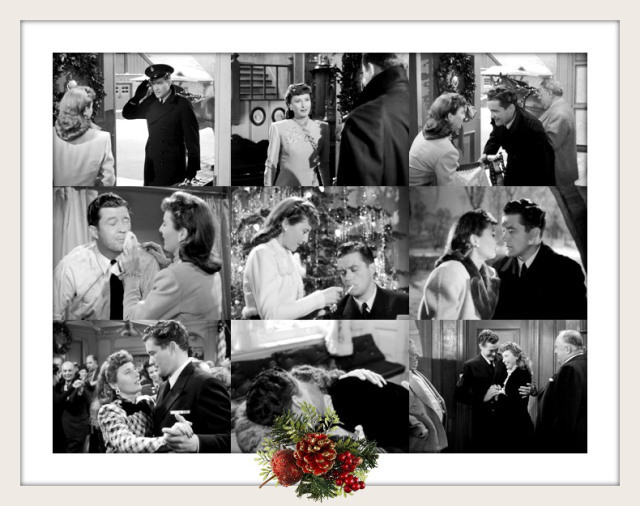 One of the two men, Jefferson Jones (Dennis Morgan), a bachelor with zero interest in settling down, becomes the object of the affections of one of the nurses. 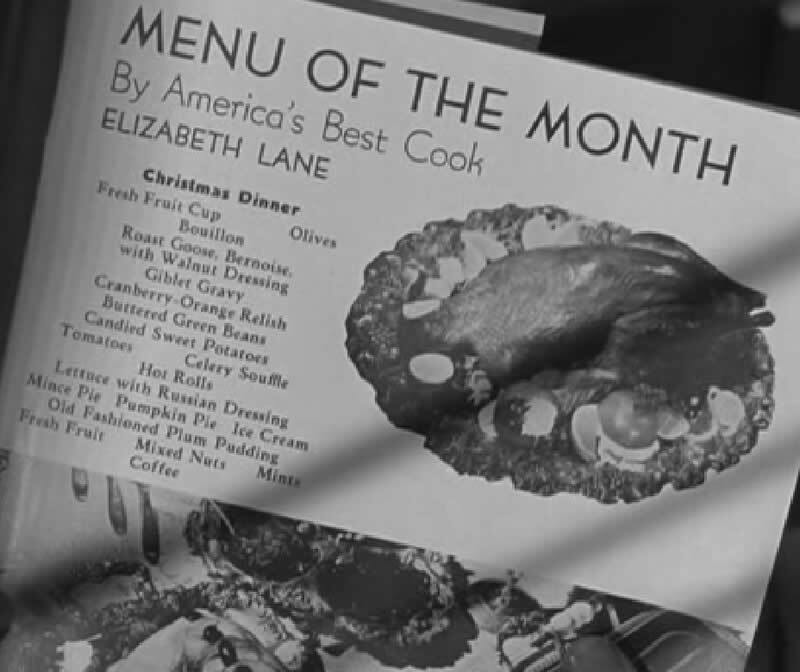 Determined to show Jefferson what he’s missing in a stable family life, the nurse sends a letter to a local paper asking that they invite the veteran to dinner at the home of Elizabeth Lane (Barbara Stanwyck). Elizabeth Lane is the perfect housewife who pens the “Diary of a Housewife” column. The newspaper publisher, Alexander Yardley (Sydney Greenstreet) loves the idea proposed by the nurse in her letter so he announces a publicity stunt, which cannot fail. Perfect housewife Elizabeth Lane will host the decorated veteran for a traditional Christmas dinner in the beautiful farmhouse in Connecticut she shares with her husband and baby. In “Diary of a Housewife” Elizabeth Lane offers decorating tips, housekeeping secrets, fancy recipes and discusses the idyllic life she leads in the Connecticut farmhouse. It’s a popular column and she’s good at her job. But a problem arises when the columnist learns of her boss’ plans. Miss Lane, you see, is no housewife. In fact, it’s doubtful she’s ever stepped foot in the kitchen of her New York City apartment, which is as far from a farmhouse as one can get. All that Lane knows about farms is in her imagination, she has no husband and no baby and is now in a major pickle. Needless to say, panic sets in as Elizabeth has to try to figure out how to create a life she knows nothing about so she doesn’t lose her job. 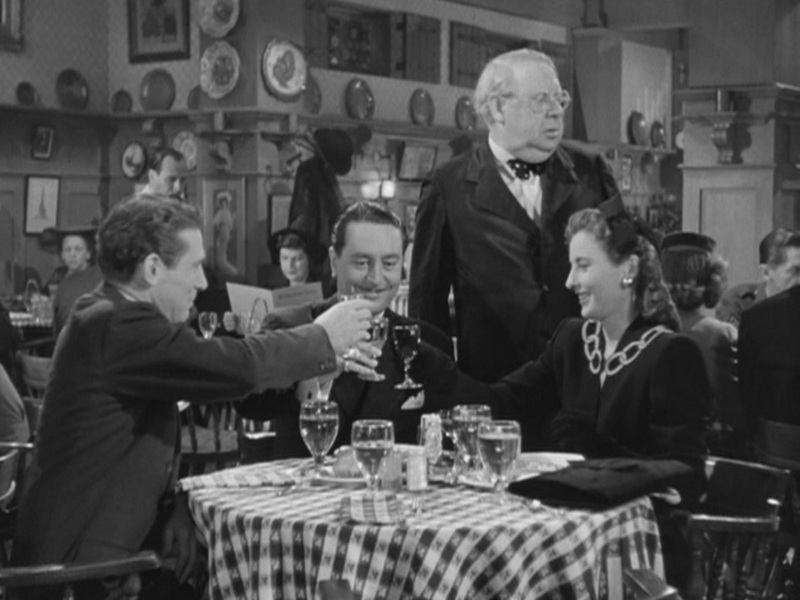 With time running out and the pressure on to come up with a plan, Elizabeth meets her editor and friend, Dudley Beecham ( Robert Shayne) at the restaurant of Felix Bassanek (S. Z. Sakall), another close friend who also happens to be the “real” author of all the fancy recipes Elizabeth includes in her column. Also there is John Sloan (Reginald Gardiner) who has been proposing to Elizabeth for quite some time, proposals she’s always refused. Sloan is pompous and a bore, but a decent chap and that day – in a crunch – Elizabeth accepts his marriage proposal. It turns out that Sloan owns a farmhouse in Connecticut, which means they now have the setting for the staged Christmas festivities. Elizabeth, Dudley and Felix set the rest of the elaborate plan in place and script their respective roles. hilarity ensues as the elaborate plan to bring the perfect, family holiday charade to fruition is riddled with near-misses and close-calls. Adding to the mayhem in Connecticut, by the way, is the fact that Elizabeth and Jefferson fall in love the moment they meet, making the woman even more nervous about the entire affair. She is, after all, a married woman with a baby. The newspaper publisher, Yardley, further complicates matters when he decides to be a part of the Christmas celebration. Not mentioned above but certainly worthy of note is the great Una O’Connor who plays the maid in the Connecticut house. Not surprisingly, she and Sakall provide some of my favorite moments in the film. 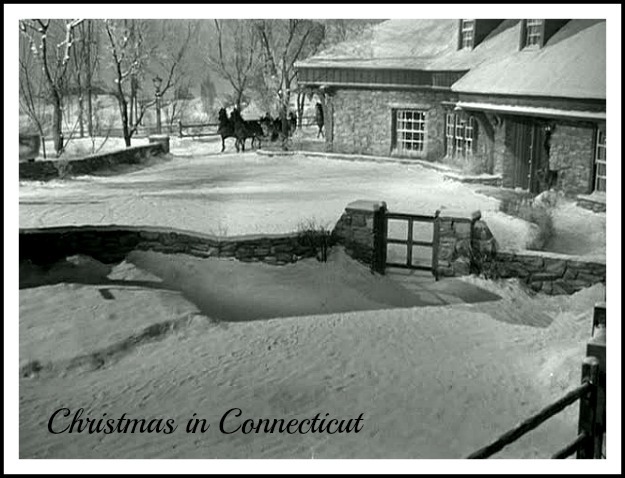 I was a bit skeptical about choosing Christmas in Connecticut as my choice for the Journalism in Film blogathon hosted by Comet Over Hollywood and Lindsay’s Movie Musings because it’s a holiday film and this is September. 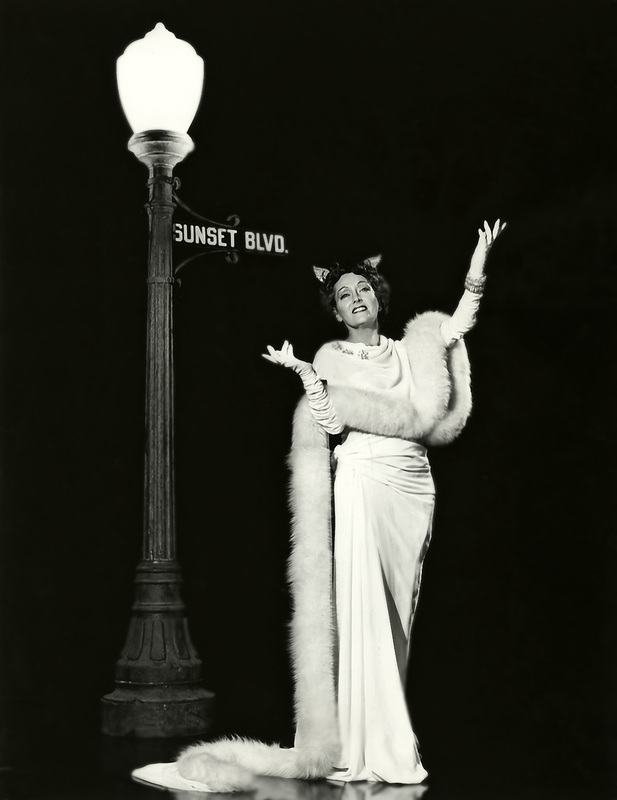 However, the film opened at New York City’s Strand Theater on July 27, 1945 – right in the middle of summer! So here it is as my contribution. Plus, who’s to say Christmas movies are not great all year ’round? much of her writing. She is best remembered for a series of books, commonly referred to as the Stillmeadow books in which she discussed her simple life on a farm with homespun wisdom and earthy humor. Taber expressed an appreciation for the small things in life, which was irresistible to readers. She published more than twenty books related to Stillmeadow, including several cookbooks. This is posted is her honor. 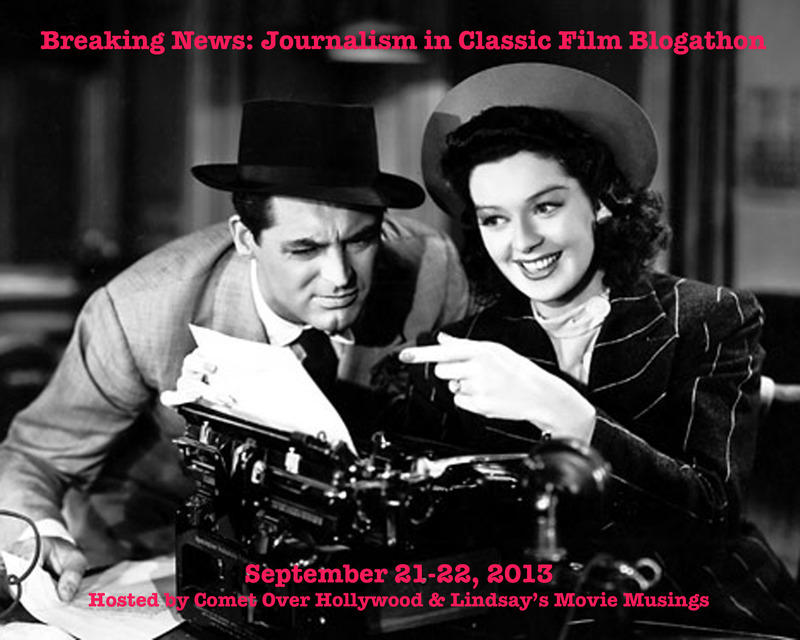 Be sure to visit Comet Over Hollywood and Lindsay’s Movie Musings to read insightful posts in the Journalism in Classic Film blogathon. 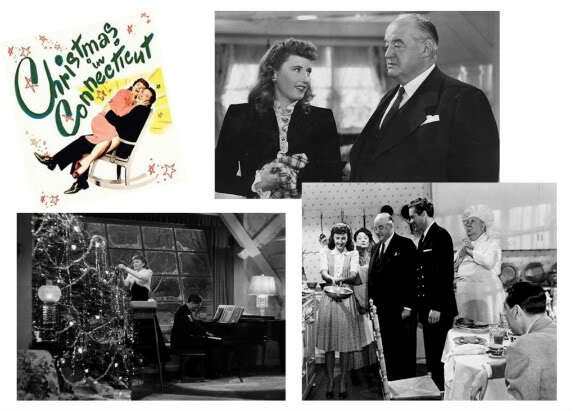 One of my favorite holiday movies, Stanwyck is great in the part-thanks for writing about it! Hate to admit ,have never seen it. Will remedy that! Great review. Thanks, Vienna. I think you’ll love it! I would love to see this – it isn’t out on DVD in the UK and isn’t a well-known film here, but will keep my eye out for it! Enjoyed your review a lot. Oh, I hope you get to see it soon, Judy. It’s so much fun! I adore, absolutely adore this film. (Can you believe I picked up the DVD the other week for only $4 in a discount bin?) Such funny lines and very charming characters. As a side note, I think this is the happiest character I’ve ever seen Sidney Greenstreet play. He laughs a lot in this movie and it’s quite endearing. So glad you included this for the blogathon. I got it on Amazon for $5! Couldn’t believe THAT price either! Everyone’s great in it. Only one things gets a bit on my nerves – Reginald Gardner keeps his hand in his pocket for much of the film and I always want to jump in and tell him it’s distracting. So true abut Greenstreet! And there’s the little “Fat Man” reference Sakall makes when they first meet. Along with White Christmas this is my favorite holiday film. It doesn’t delve too much into her career but she does bring to mind Martha Stewart and all those other “domestic homemakers” who often are not nearly as homey as they present themselves. The film itself is delightful, it contains the holiday spirit without swamping you with all the trimmings and Missy and the rest of the cast appear to be having a whale of a time. Sydney Greenstreet was a noted comic actor on stage for many decades before moving to the screen and always relished a chance to return to what he considered his forte although Warner obviously disagreed. Aurora, CHRISTMAS IN CONNECTICUT is yet another one of the movies I’ve seen only in bits and pieces, so you’ve gotten me wanting to catch up with CHRISTMAS IN CONNECTICUT sooner rather than later. Heck, you had me at “S.Z. Sakall” and “Una O’Connor”! Great post! Thanks, Dorian! You must watch it soon. One the entire family will enjoy too. And those two are just wonderful. Sakall especially – almost every line he utters in this is hilarious! Such a fun movie. I didn’t know it was based on a real person, but in any case, a delightfully silly caper that’s enjoyable all year round. Thanks. This is impossible to find in the UK – it’s certainly not for want of looking. For now I’ll have to be satisfied with your review (which is excellent, thank you) and satisfy myself with other seasonal classics. Aww! Now that you say that I wish I’d added more plot details. Wanted to make it less about the Christmas story than the journalism angle. I’m surprised it’s not available on Amazon. Yes. I haven’t seen it though. Thanks for stopping in. S.Z. makes this movie for me too! Just love him in this – and all else he did, actually. And when Una packs her bags to leave b/c she thinks the couple is canoodling before marriage! I really like this film – chiefly because of Stanwyck. She really does a great job here as just a working girl who deserves a fur coat! 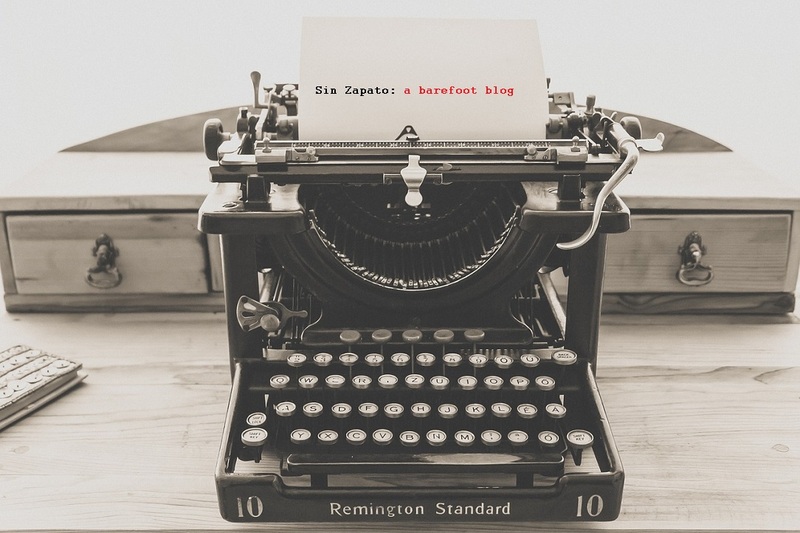 Great post and great choice for the blogathon! Thanks so much. Stanwyck could just do everything. Never ceases to amaze me.